Recently, something changed the corrugated packaging market in the surrounding areas of Bhopal, a city adjacent to the beautiful Upper Lake. This story could trace back to June, 2018. 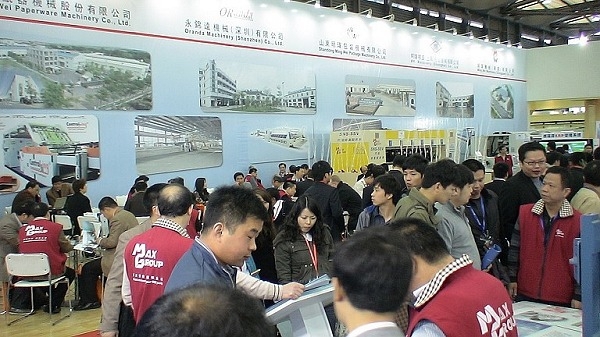 The exhibition center, one hour away from Shanghai Pudong Airport in Eastern China, there came about 20,000 visitors to visit Sino Corrugated 2018 Exhibition. 15% of those visitors were from India. One of the corrugated paperboard manufacturer owner from Bhopal and his friends came to the stalls with crowds. Because the duration of the exhibition was only three days, the languages and cultures were various, and the market was Chinese-speaking oriented, these made the communication somewhat difficult. Beside, watching a diversity of corrugated cardboard equipment also dazzled the Indian visitors. Some focused on economical equipment and some focused on the equipment with latest technology. Various displays brought different sensation to the Indian visitors using semi-auto corrugated machine. However, their targets were to upgrade their production quantity and quality by purchasing suitable equipment and wished to see the fruits to enhance the benefits within a year. However, so dazzling were too many stalls in the exhibition center. Furthermore, in the past, we’ve learned from the friends on the market that there were many problems existing on quality and customer service in the equipment made in China. Many of them were fooled or regretted. However, there were still some successful cases. 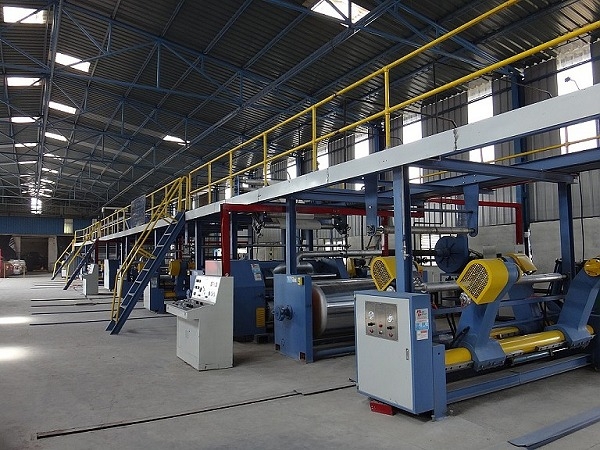 The owner of corrugated cardboard plant from Bhopal realized that he was using semi-auto equipment for the time being. If he kept running his company in the same old way, the competition on the price against his competitors would never end. Furthermore, the prime cost was getting higher and higher and the profit would only be less and less. Hence, he had his own ideas on his mind. Via this visit, he would find the most suitable supplier and realized his own project with limited budget. He came to a stall, Max Group, which was combined with many international strategic alliances and was based on Max Group -Ming Wei & Oranda Company. He witnessed that a throng of visitors both from local China or India and even from the four corners of the world swarming to the stall one after the other kept them very busy. Cordially conversing with their exhibitors in English, a language he was familiar with, he learned that they had arranged some customer visits. However, the round-trip might take those 6-7 hours so that they considered if it was worth spending that much time. That was because the visit would take only three days. However, he was really interested in the automatic corrugating production equipment and determined to take a tour arranged by Ming Wei. Such a long journey yielded uneasiness in his heart. Not knowing if it was worth spending so much time, he shared his working experience with others thanks to the fact there were lots of customers from India and South East Asia. After three-hour journey, he finally saw the equipment of this company. Although such level of automatic equipment wasn’t new to him, he witnessed the steady production of Max Group -Ming Wei and Oranda’s equipment and their outstanding performance while the machines were running. He also found that the heavy design was applied upon Max Group -Ming Wei/ Oranda’s equipment. Such designs originated from Ming Wei’s headquarter in Taiwan in order to assure the machine stability on the condition of high speed and long-time running. All the related components were imported from Taiwan. They also used some bearings, cutting tools, motors, converters, and cotton belts…etc, which were made by certain well-known brands in Taiwan, Japan, Europe and America so as to ensure the endurance and stability of machines. This profound impression thoroughly made him change his mind of partially craving after cheap equipment, but whose endurance needed to be questioned. Each visit let him realize the market segmentation among the equipment suppliers on different levels. Also, with the permission to visit Ming Wei’s plants in China, he took some photos for making records. Although carrying a full load of joy back home, he feared that he needed to make a sound financial project while thinking about the relations between the performance and the price of the equipment. On his way back home, he spent lots of time returning to Shanghai City, ending this well-impressed journey. Later on, he got another opportunity to watch the equipment from different suppliers. However, the performance of Max Group -Ming Wei/ Oranda’s equipment impressed him the most. Even two of their clients in India ( Align, Wadpack) were also very satisfied with the equipment. Through the Max Group -Ming Wei/ Oranda’s discussion about hiring workers in India, they concluded the final price and the specification. He decided to invest on automatic corrugated production lines of 1.6M, five plies, the maximum speed of 180M/Min and equipped with Single Facer, Mill Roll Stand, Slitter Scorer as well as NC Cutter. They also started negotiating with the banks and finally obtained sufficient load limit from them. 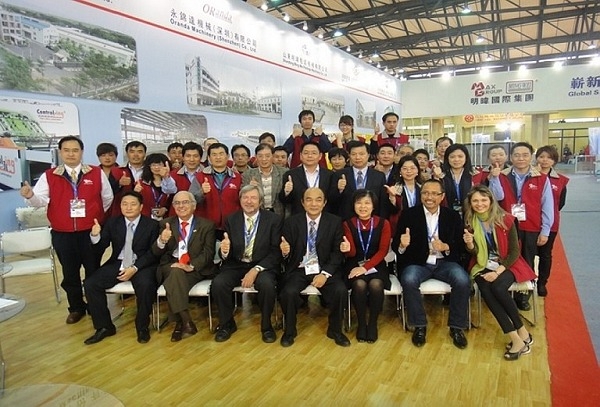 In November, 2018, he visited the production plant “Shandong Ming Wei”. After that, he felt thoroughly confident toward the quality of future equipment. Meanwhile, he also began to rebuild his plant. In January, 2019, after the arrival of goods to the plant, they started installing the machines. Shandong Ming Wei sent three engineers for the installation on machinery, electrical machinery and computers. In the middle of July, the first batch of cardboard was produced. In August, they officially put into production. His production was four times more than semi-auto equipment. In October, the production was already beyond his expectation. He needed more orders to support the entire production. Nowadays, he has become the cardboard supplier with the highest production in Bhopal area. After this customer in Bhopal bought the automatic corrugated production equipment, the printing equipment was not able to meet his needs owing to the incessant increases on production. Through the financial evaluation on its feasibility, he decided to purchase high-level printing equipment and also scheduled to go to Middle East for the inspection of printing equipment at the end of this year. He also looked forward to positioning himself as the corrugated cardboard supplier who was able to provide delicate printing on high-quality cartons. Utilizing high-quality supply to create added values for his customers, he also created a market segmentation making his competitors unable to get ahead of him with ease. Such slowing changing story has influenced the entire corrugated carton supplying ecology in the surrounding areas of Bhopal. This change was still continuing.